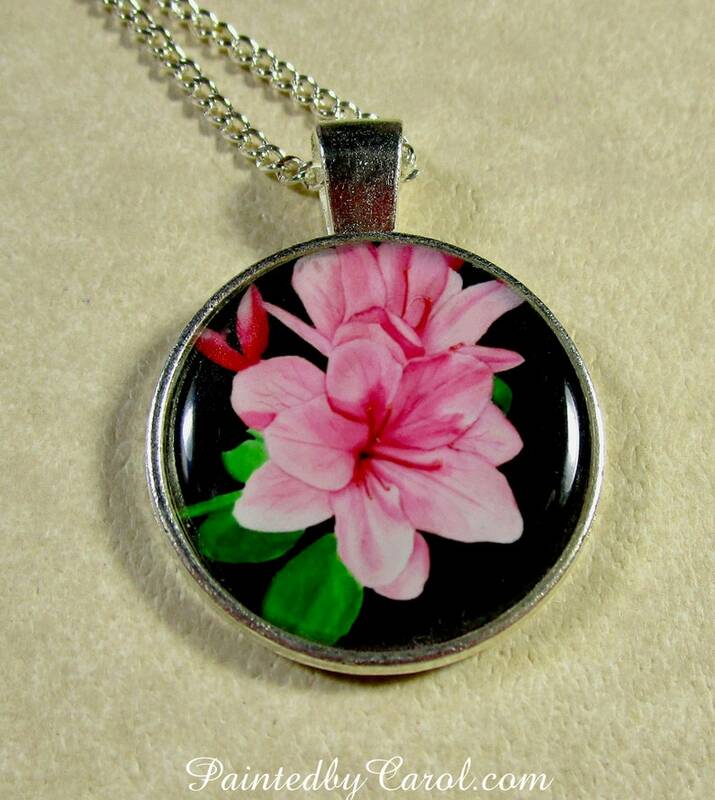 This azalea pendant features my watercolor painting of bright pink flowers. The image is protected by an epoxy cabochon. Pendants are 1 inch (25 mm) and have a swirled back. Includes a 20-inch curb link chain with lobster claw clasp. Purchase with matching earrings and save $5 on the set. Image on earrings is 12mm or approximately 1/2 inch. Other items available using this painting include: earrings, cuff bracelet, bangle bracelet, snap charm, cufflinks, tie bar, tie tack, keychain and cell phone grip skin.